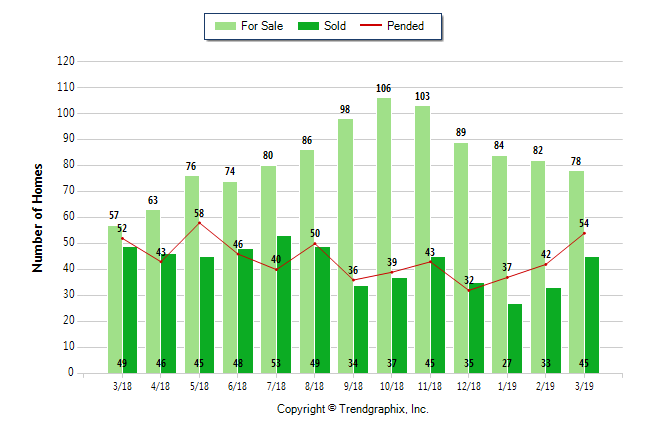 Why these homes sell faster: There were 33 active listings in Fountain Valley last month with an average sale price of $849,584. 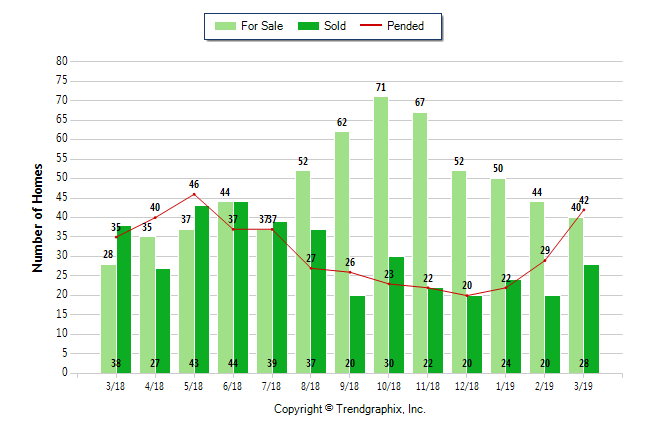 The days on market have been moving quickly for the past year, with the highest average being just 35 days 6 months ago. Conveniently located near Huntington Beach, Costa Mesa and more, this community has been growing and evolving over the years. With new trendy restaurants opening up all over town – like Drill’d Ice Cream and Recess Room – and a safe family-friendly community vibe, it’s no wonder homes are selling so quickly. Why these homes sell faster: With an average listing price of just $518,714, the Stanton housing market moves quickly. 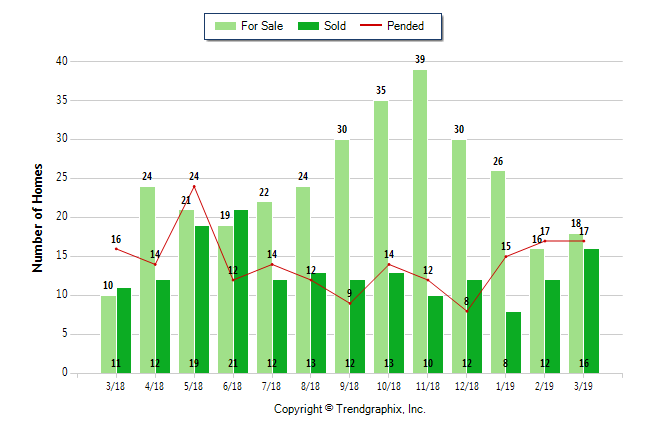 There were just 18 active listings in the city last month, and the days on market has come up from just 19 days on average this time last year. 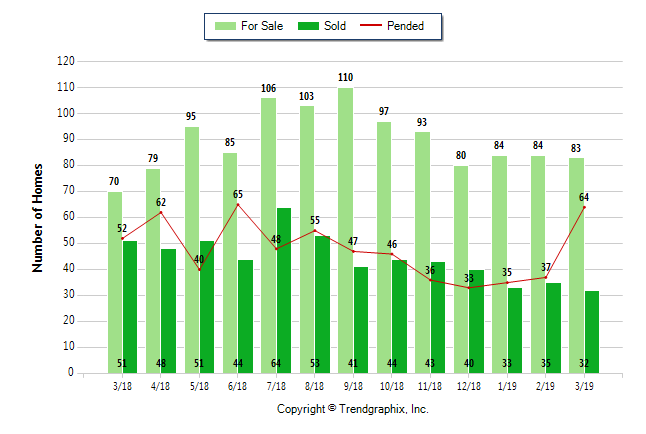 Why these homes sell faster: Garden Grove offers a much larger selection of homes for sale with 141 active listings in March 2019. The city’s culturally diverse community of over 170,000 people is home to four annual cultural festivals that celebrate the Vietnamese, Korean, Arabic, and American heritage. In fact, residents will be looking forward to the Strawberry Festival coming up Memorial Day Weekend! Why these homes sell faster: 78 active listings with an average sale price of $668,538. The city is undergoing an exciting revitalization in business, residential and commercial projects. 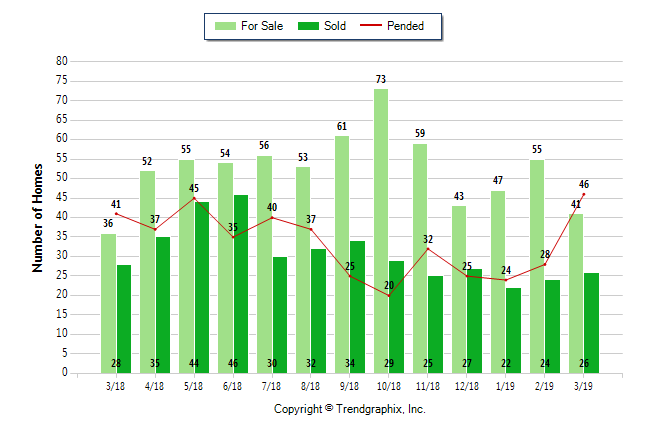 Over the past year, the city has consistently had a quick turnover for homes on the market. 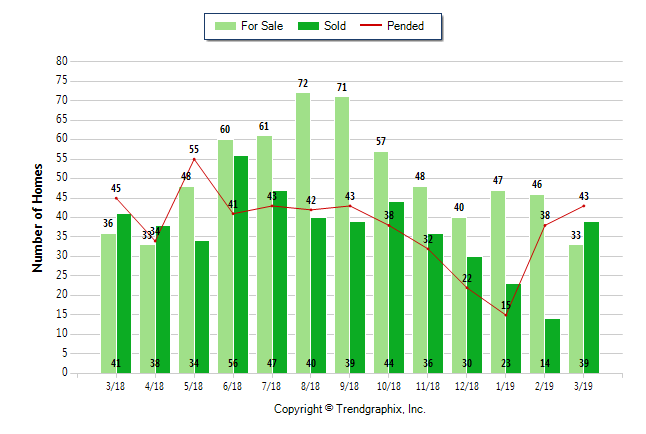 Why these homes sell faster: Days on market 3 months ago in Cypress was up to 53 and it’s fallen to 34 as we head straight into the busy spring and summer market. Average sale prices are at $783,181 with a total of 40 active listings. Located on the northern border of Orange County, Cypress is often considered a suburb of Long Beach. Why these homes sell faster: This quiet bedroom community in northern OC isn’t sleepy when it comes to real estate. 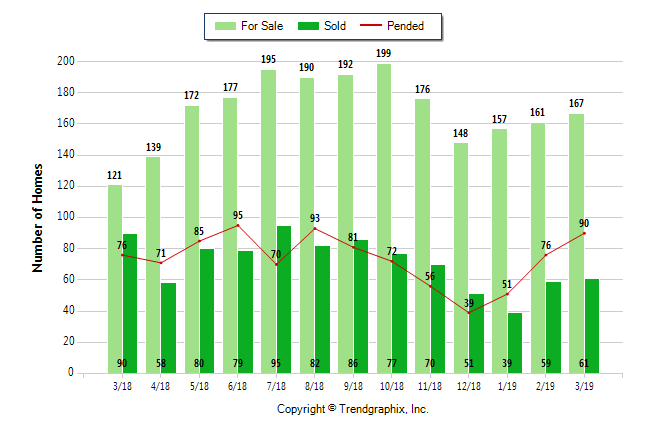 There were 87 active listings last month with an average sale price of $647,000. Why these homes sell faster: Surf City offers a huge selection of homes for sale with 358 active listing, and an average sale price of $11020,685 for single family homes. The great thing about Huntington Beach is that it offers a wide variety of properties from condos, townhomes, and duplexes to luxury ocean view estates. 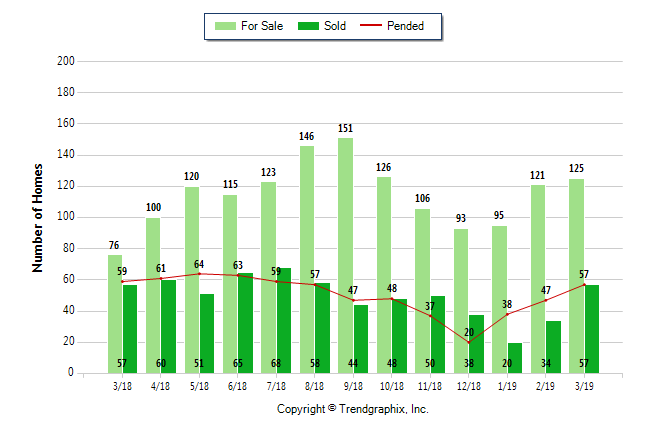 If you’re looking to buy in HB, keep a close eye on inventory – it’s moving quickly! Why these homes sell faster: The city of Placentia is a fast-growing community and the housing market reflects that. This time last year, homes were flying off the market even faster with an average days on market of 21 days. We expect the Placentia market to remain hot all spring and summer. 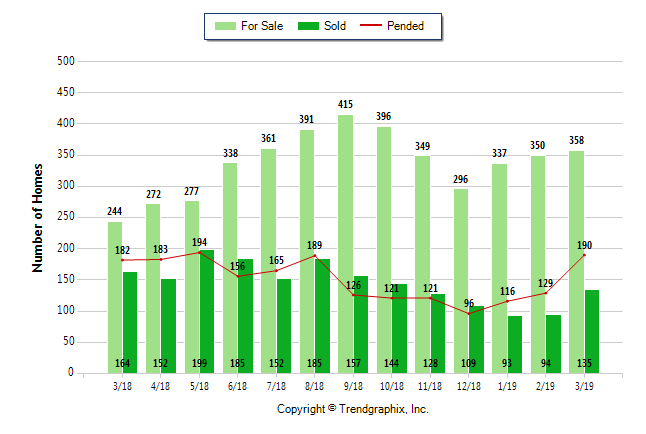 Last month the average sale price was $707,381. 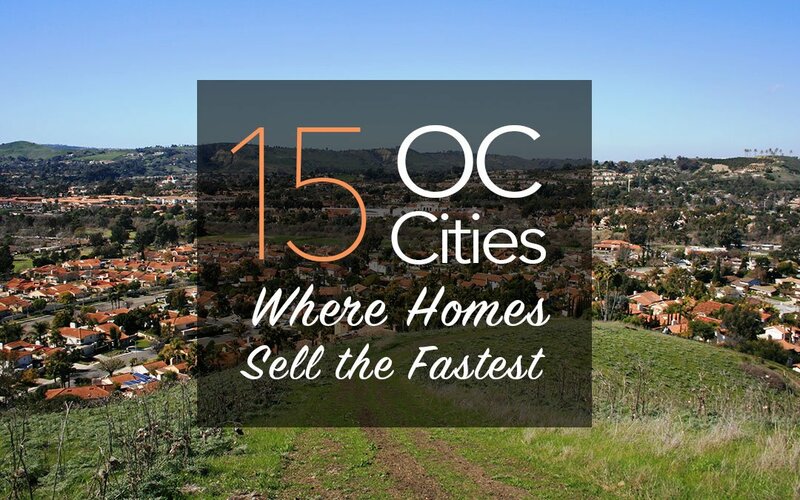 Why these homes sell faster: With 146 active listings, Rancho Santa Margarita is a hot market thanks to the wide variety of condos and townhomes available for sale. An excellent community for young families, the city offers tons of amenities geared toward children including the RSM Lake and Beach Club, parks, great schools, and more. Why these homes sell faster: Believe it or not, Santa Ana’s days on market is actually in a up swing right now – but it’s still one of the fastest moving markets in Orange County. 6 months ago, days on market was down to just 26 days. 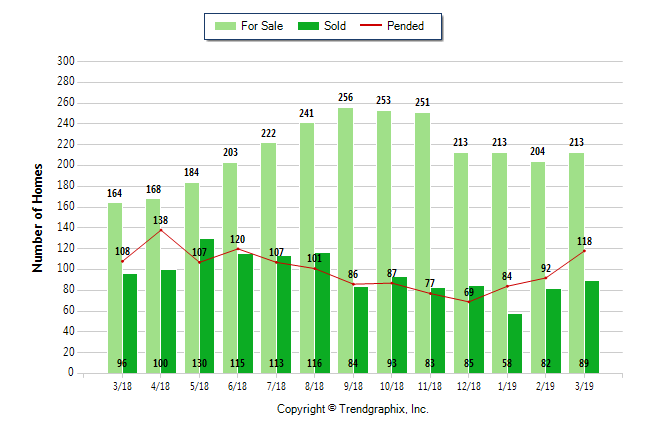 Currently there are 260 active listings with an average sale price of $637,003. 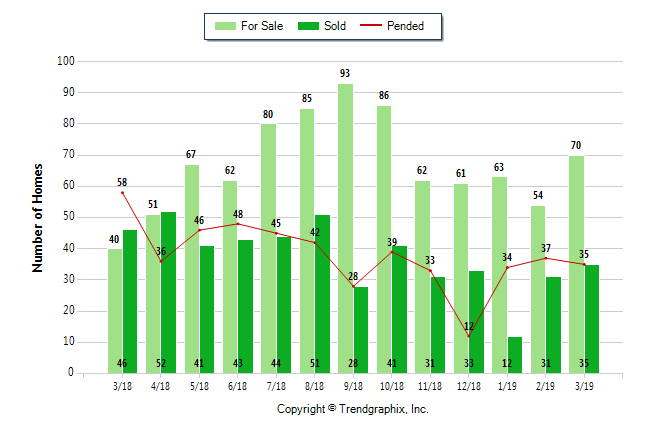 Why these homes sell faster: A bit a surprise on our list, Corona del Mar had a busy March 2019 with 127 active listings and an average of just 45 days on the market. Luxury real estate usually takes much longer to sell, and with an average sale price of $2,672,500, this upscale beach town is moving faster than expected. Why these homes sell faster: Bringing together a rare mix of luxury living, tranquility, and a strong sense of community, living in Anaheim Hills feels like living in a small rural town. With such a desirable and unique setting, it’s no wonder homes sell so quickly. 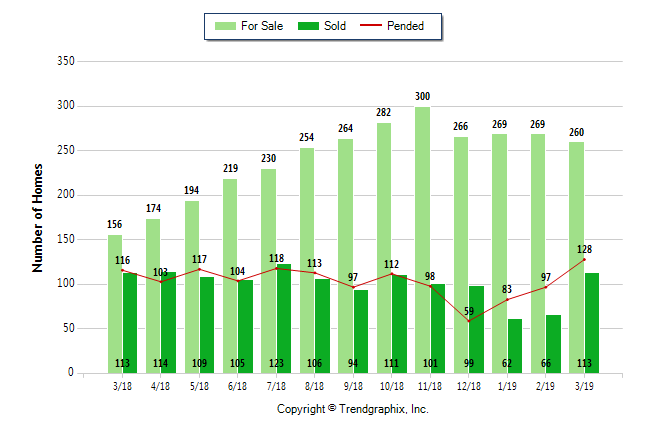 Last month there were a total of 125 active listings and an average sale price of $845,846. Why these homes sell faster: This time last year, Westminster was down to an average of just 13 days on market. We could see this city’s inventory flying by even faster as we head into the hot summer market. 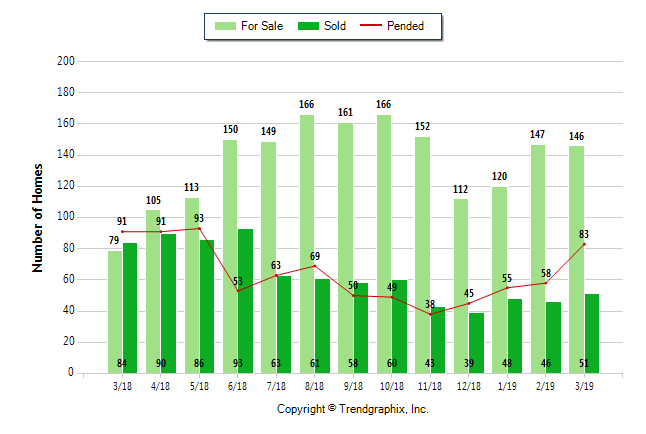 There were just 41 active listings last month in the city with an average sale price of $677,300. Why these homes sell faster: Costa Mesa offers residents a range of communities and neighborhoods, each with it’s own unique flair and vibe. From funky to family friendly, the city is always growing and evolving every day. 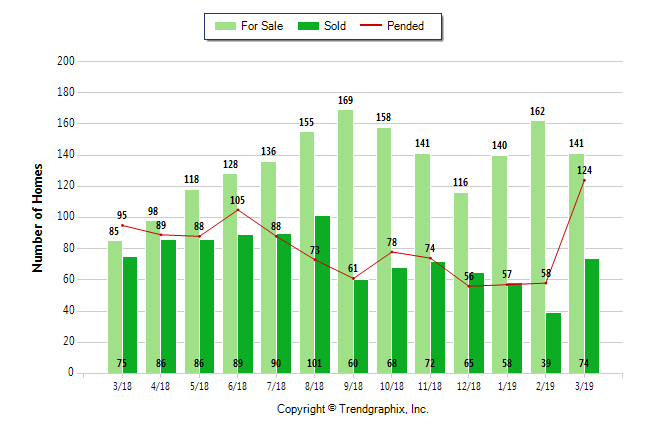 Last month there was a total of 167 active listings and an average sale price of $982,968. 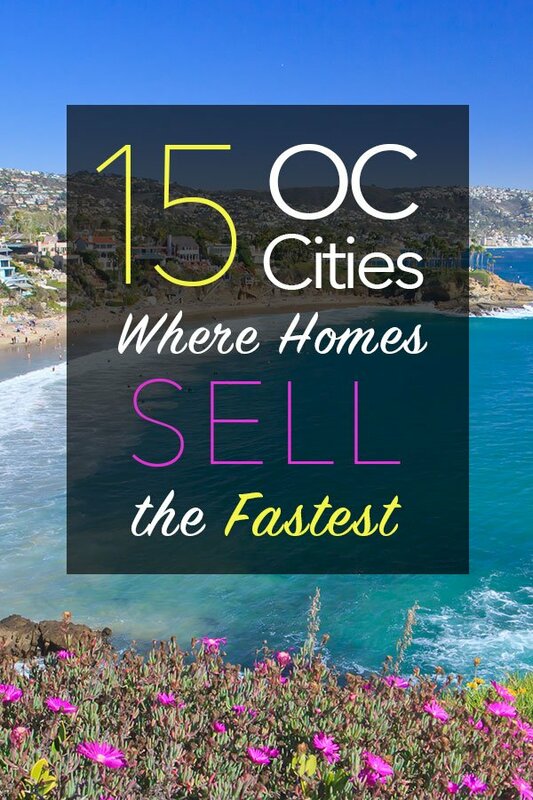 Why these homes sell faster: Rounding out the list of cities where homes sell the fastest is Orange. 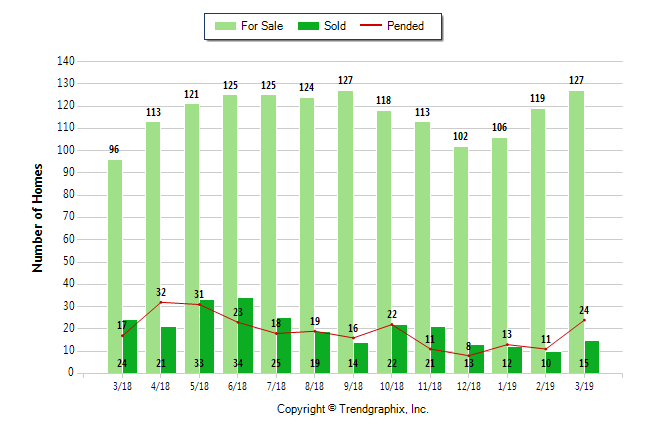 There were a total of 213 active listings and an average sale price of $802,458. The biggest draw to the city has to be the amazing Old Town Orange surrounded by many homes and buildings dating to the early days of the city. It’s tough to beat the culture, convenience and charm of Orange!